Amber Fox provides this free blog space for the following important Public Service Announcement . . .
Brought to you on behalf of the BigFoot Field Researchers Organization. "Warning: Sasquatch may have been sighted in your area. Lanark County, Ontario on Sasquatch Watch." 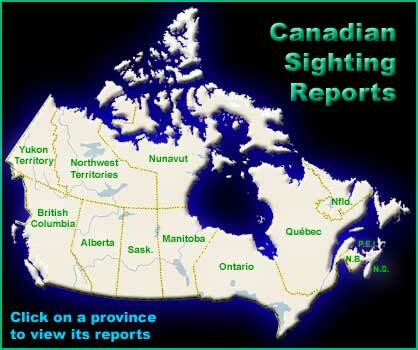 Did you know that according to the BFRO there have been 27 confirmed sightings in Ontario since 2003? In one of the more chilling accounts of an encounter with a Sasquatch comes this harrowing eyewitness Class A report (as confirmed by the BFRO): "A tall, hairy, and ugly eight foot sasquatch got spotted after scaring my dogs. I got into the forest just beyond the corn and my dogs came running back, whimpering." Sightings may have been reported in Lanark County, Maple Syrup Capital of Ontario. "This is unreal. I have never heard of sasquatches in the area before now and I guess it's true, just cause I haven't seen it doesn't mean it's not there." Have you seen a Sasquatch? 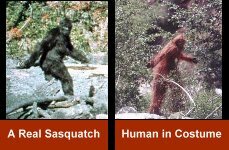 Complete a "Bigfoot/Sasquatch Sighting Report Form"
"Humans have to be present for an observation to occur. Where there are no humans, there are no sightings, but there might be just as many bigfoots."